With Commissioner Cheryl LaFleur’s January 31 announcement that she will not be seeking a third term at FERC, President Donald Trump will have another seat to fill with a nominee, although tradition holds that Democrats in the Senate forward preferred choices for the White House to consider for that role. The Trump White House has bucked tradition in many ways, and there is the possibility that the president may prefer to leave the Democrat spot held by LaFleur vacant once she leaves the Commission. That may not be for some time, as LaFleur is allowed to stay at FERC after her term expires at the end of June this year, and she indicated she is in no rush to exit after more than eight years on the 11th floor. Her time at FERC has included two stints as chairman, in part of 2017 and from late 2013 to April 2015. It was during that latter period when she was chairman that a FERC decision approving a new capacity zone in the New York Independent System Operator, in the Lower Hudson Valley, upset Sen. Chuck Schumer (D-N.Y.). The goal of the capacity zone was to attract new power generation resources to the region to address transmission bottlenecks in the state, and FERC stood by the decision on rehearing, which Schumer blasted in 2014, urging LaFleur to restudy the need for a new capacity zone that was due to raise utility rates in the Hudson Valley. In a March 20, 2014 letter to LaFleur, Schumer said the order on rehearing was wrongheaded, failed to adequately protect residential and business customers in the Hudson Valley, and demanded a second rehearing. When LaFleur was confirmed by the Senate for her second term at the Commission in 2014, she had strong support in a 90-7 vote, but Schumer, now the Senate Minority Leader, was one of the seven votes against her. That feud apparently has remained as sources said LaFleur enjoyed support from key Democratic senators, including those on the Senate Energy and Natural Resources Committee, but not Schumer. She essentially confirmed as much in her January 31 statement that she will not seek a third term at the Commission, coming after she had indicated she would like to serve a third term. “While this is not the outcome I had hoped for, I feel very lucky to have served on FERC for more than eight years (and counting),” she said. Many energy groups and individuals, including her colleagues at FERC, praised LaFleur for her reasoned decision-making, experience, leadership, and willingness to tackle tough issues while she’s been at the Commission. “While we will miss you, we thank you for your service and look forward to serving alongside you through the remainder of your time” at the Commission, Chairman Neil Chatterjee said on Twitter. Chatterjee and Commissioner Bernard McNamee are Republicans, with LaFleur and Richard Glick Democrats, and a vacant commissioner seat following the death of former Chairman and Commissioner Kevin McIntyre January 2. With the latest developments, Trump will have two more vacancies to fill at FERC. That presents him with the ability to nominate seven commissioners in less than two years. Other presidents have nominated six or seven commissioners over two presidential terms, spanning eight years. The high turnover at the Commission and leadership changing hands so often is rather rare, although when McIntyre stepped down from the chairman position due to health issues sources indicated that the energy sector is more accustomed to changes and the shuffling of positions is not as disruptive as in the past. That is true, but there is a desire for certainty and stability at FERC, which is one of the reasons LaFleur’s upcoming exit is unfortunate, said Colette Honorable, a former commissioner and current partner at Reed Smith. “We need consistency in the leadership at the agency and I hope that the Trump administration appreciates that,” Honorable said in a brief interview with the Foster Report. From the end of 2016 to the end of 2018, there have been five chairmen at the Commission. Those are Norman Bay, LaFleur, Chatterjee and McIntyre, with Chatterjee’s current stint as chairman marking the fifth. In contrast, from late 2001 to early 2009 there were two chairmen, Patrick Wood and Joseph Kelliher. No more than three of the commissioners can be of the same political party as the president. At least two sources, who asked not to be named, said they have heard that the White House may decline to nominate a Democrat or Independent to fill LaFleur’s spot to have a stronger Republican majority at FERC. Honorable and others said it would be a mistake for the White House to try that, especially if the Republican choice to fill McIntyre’s seat comes from the industry and may have recusals due to conflicts of interest. “I hope they recognize the value of a full and functioning Commission,” said Honorable. When FERC does not have a full complement of commissioners, there is a greater potential for conflicts and votes not being cast on important items, she said. Honorable did not mention the recent impasse on a natural gas pipeline and LNG export project that was on a FERC meeting agenda and pulled because it did not have the support of a majority at the Commission, but that illustrates her point. Honorable said during her time at FERC, and in other iterations of commissioner lineups, more than 90% of the orders enjoy unanimous support. The creation of another vacancy presents the opportunity for pairing nominees to gain Senate confirmation and appeasing both political parties, though sources said in today’s partisan atmosphere that may not happen. Democrats will have to recommend a nominee they support who can gain a White House endorsement and “that’s a tough needle to thread,” said one source. The opportunity to pair a nominee with a Republican presents Democrats with a bit more leverage in the Senate and White House negotiating process, the source said. A former state regulator from Arkansas, Honorable believes FERC could benefit from having someone at the Commission with that background, since there are areas in FERC’s jurisdiction where federal and state issues collide. 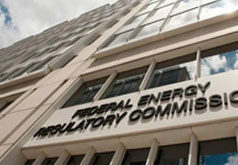 Since the exit of former Commissioner Robert Powelson, a former state regulator from Pennsylvania, in August of 2018, FERC has been without a commissioner that served as a state commissioner for the first time since 1990. Current and former state regulators are among the names being mentioned as possible White House nominees, with sources commenting that it is still too early to get a sense of where or when the Trump administration will make an announcement.